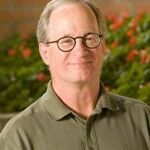 David Sloane, Ph.D., teaches courses in urban planning, policy, and history, and community health planning and policy. His research examines the urban planning and public health, American, health disparities and community development, neighborhood dynamics of public safety and crime, and public and private commemoration. He is currently engaged in research projects regarding the role of resource environments in health disparities in cardiovascular disease and diabetes among African Americans, changing styles of commemoration in post-Vietnam America, civil gang injunctions and public safety, and a social assessment of Hollywood, California. Read more. Expertise: the history of urban culture in America, especially rise of the shopping mall and its influence on urban space; the history of medicine, of hospitals and health care facility design; community health planning; the environmental context of health; the history of cultural attitudes toward death and memorialization; the history of cemeteries and burial places; roadside shrines; community policing; civil gang injunctions.